Copenhagen, Denmark. 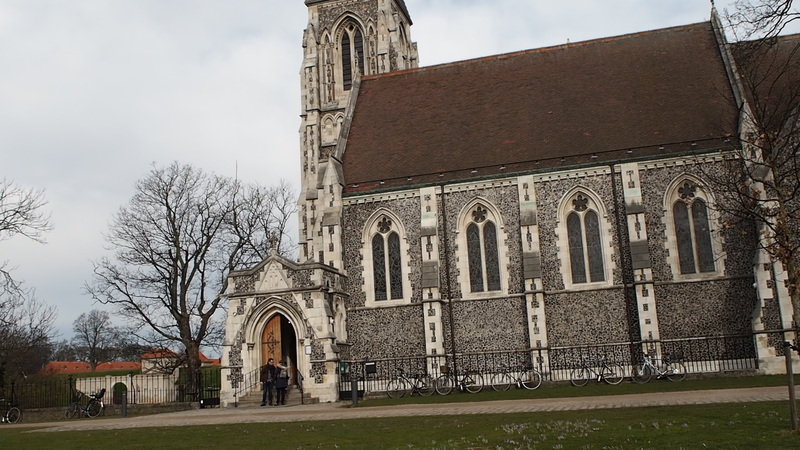 On the last leg of my trip, I was able to take a day to explore this Scandinavian city. My flight was leaving out of Copenhagen to return home so I made sure to set aside some time. My sister had studied there in college for a semester and our parents explored the city on one of their honeymoons. So I wanted to see the place for myself. 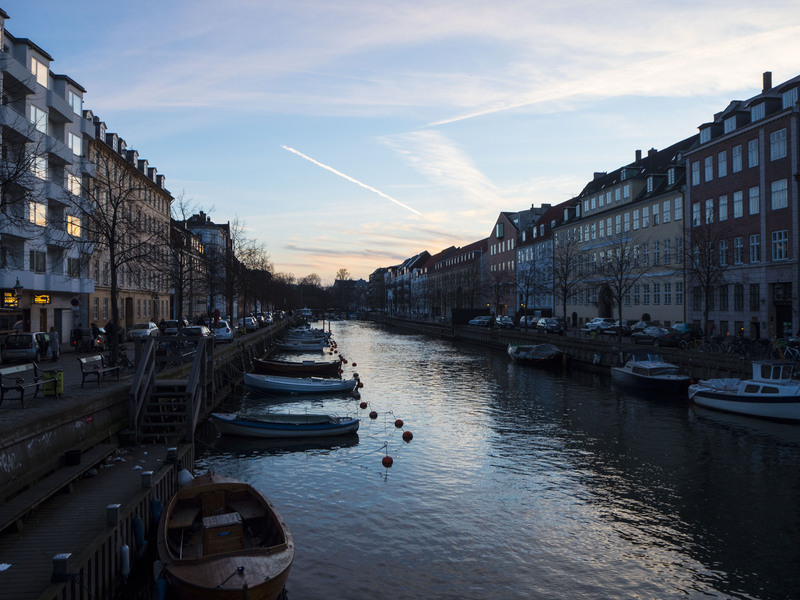 It was certainly cold when I got to Copenhagen, the first thing I noticed was that there was a very efficient public transportation system set up. I was able to grab a “tourist” pass from one of the vending machines, it was good for 24 hours and cost 80DKK or $11 US. From the airport, the train took me straight to the center of Copenhagen and fortunately my hotel was right next to one of the train stops. When I say right next to, I mean that the hotel sits just on the side of the train tracks, however, it was fairly sound proof so I had no trouble relaxing or getting a good night sleep. I arrived at Osterport Hotel, around 4 pm, I dropped my bags, changed quickly and set out to find food. 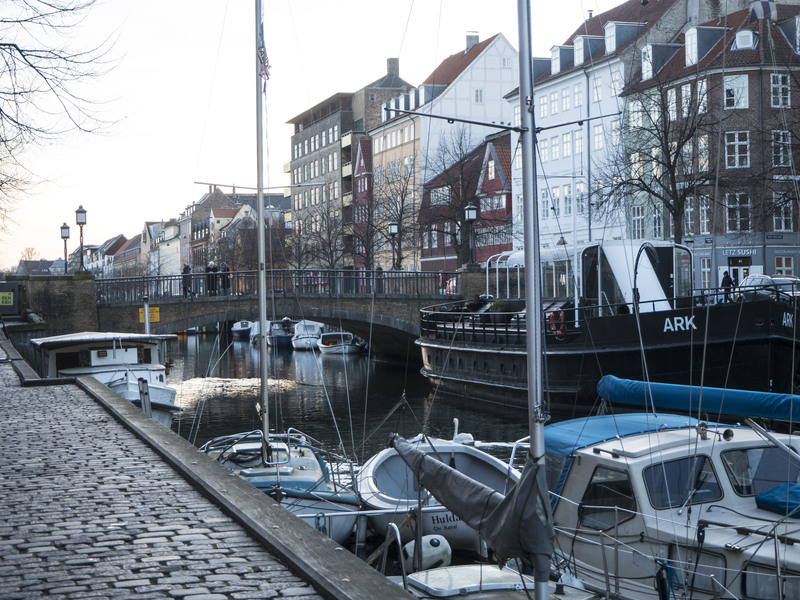 Copenhagen is an extremely walkable city and even more friendly bike city. It seemed like that was the preferred mode of transportation. The city itself is also pretty much laid out in a grid pattern so it’s difficult to get lost. Also, everyone seems to bike. Although there are cars, bicycling seemed to be the main form of transportation. I chose to walk. 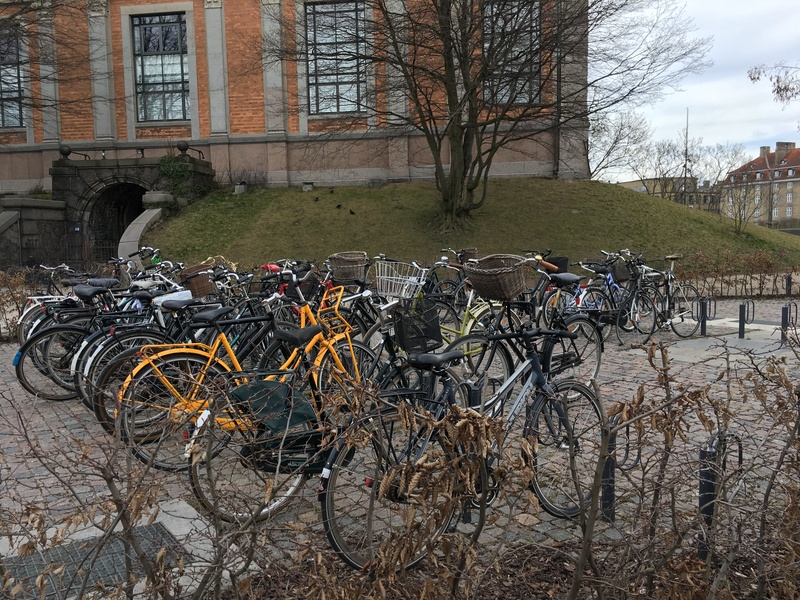 One of the many bicycle parking lots in the city. 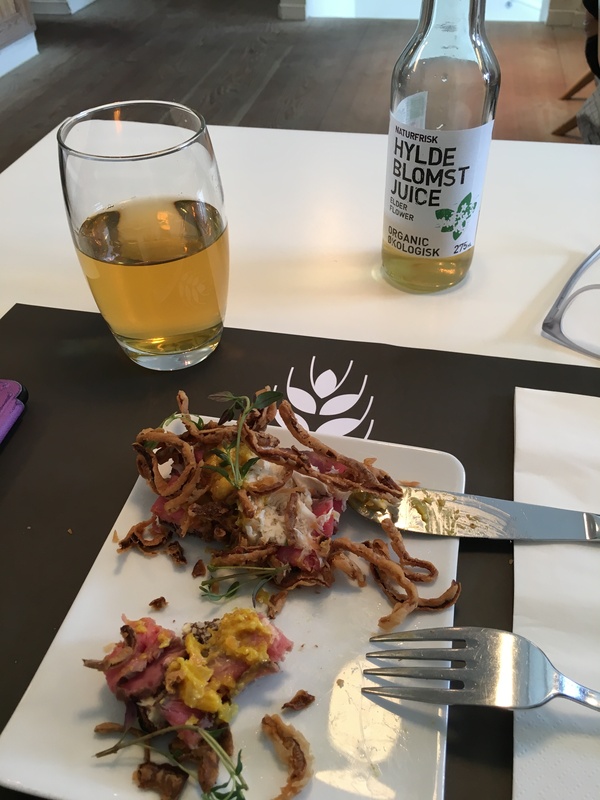 Before I’d even set out on my trip I had heard about Copenhagen Street Food. From the center of Copenhagen walk east toward Christiania. As you walk across the Inderhavnsbroen, a pedestrian and bicycle-only bridge that spans the river, follow the crowds to the warehouses to the left. 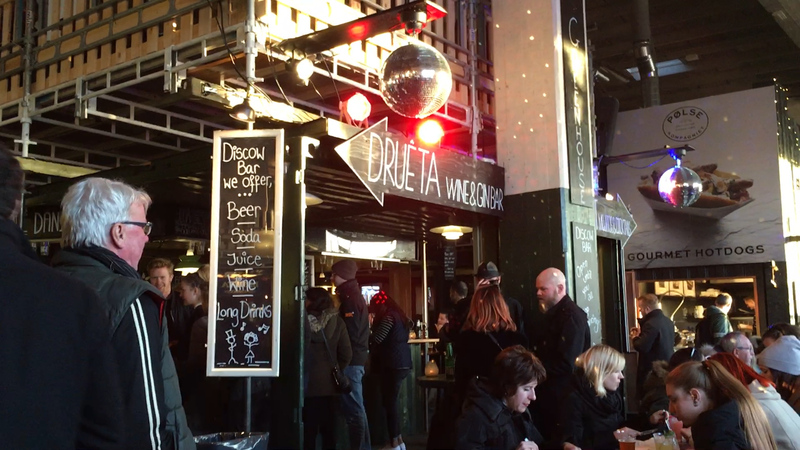 Copenhagen Street Food is set in a huge warehouse, next door to a Copenhagen Contemporary, an independently owned center for contemporary art and culture. Walking past Copenhagen Contemporary there were wishing trees set outside. 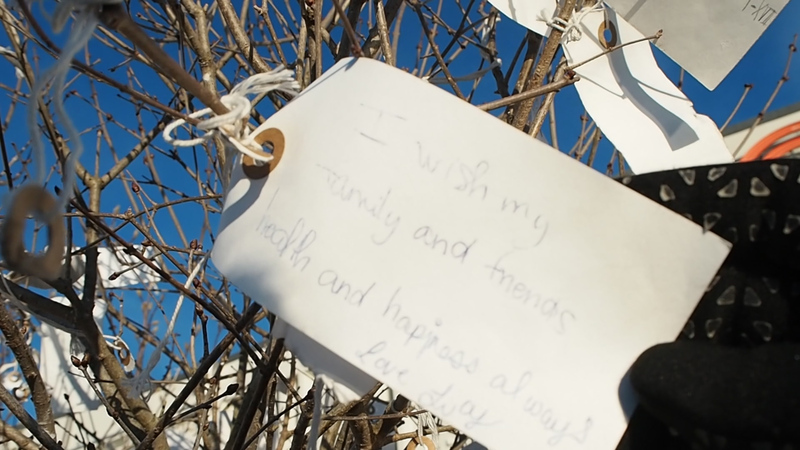 A great interactive piece where a passerby could write their wish for themselves or someone they knew and hang it on the tree. As you continue on you’ll notice that there are a ton of different seating set out for people to enjoy. The area is set up so that people have to interact with each other and everyone does. It’s also a great space to hang out with friends and watch the boats drift by. Copenhagen Street Food is a bizarre of food, drinks, and culture. There is a large variety of food housed in this space as well as specialty cocktails and drinks. There is something for everyone here. You can sample Thai, Indian, Italian, Fish and Chips, and even charcuterie! If you just want to satisfy your sweet tooth there are spots for that as well including a cheesecake stall, traditional Danish treats and ice cream. Of course, I was there when I was so hungry I couldn’t decide what I wanted to eat! After walking around and being slightly overwhelmed I settled on the first stall that caught my eye, which is, in fact, the first stall that you see when you enter the building, Polse Kompagniet. Polse Kompagniet focuses on one thing, hot dogs, and not just any dogs, organic, grass-fed meat. All of their product from their sausages to their sauces are organic and prepared fresh. I tried their traditional hot dog. It came with a green sauce and a mayo of some kind but the flavor combination was fantastic. I washed it down with a warm, satisfying apple cake, which was more like an apple crumble, from Ishytten, which specializes in ice cream and Danish treats. 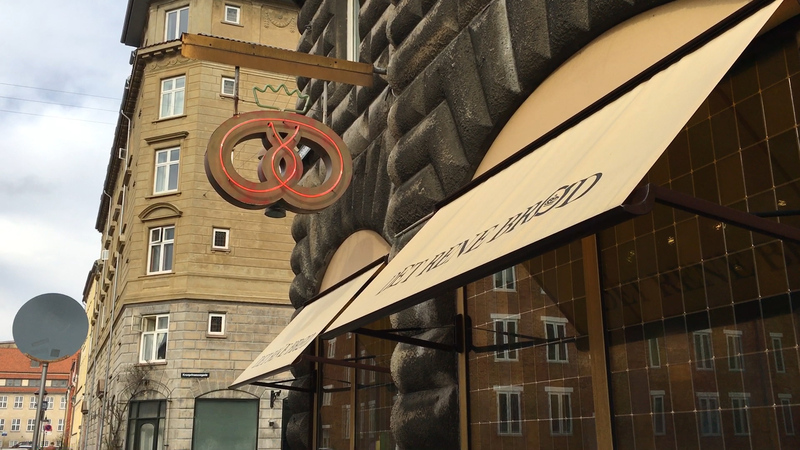 Copenhagen Street Food is open 7 days a week and is typically open from noon to 10 pm. It was now around 5:30 and I figured I had about a half an hour before I was wandering around in the dark. So I headed south toward the famous Tivoli Gardens. I knew the park wouldn’t be open since it was still early in the season but I hoped that I would be able to see through the gates. Tivoli Gardens is a much-loved institution in Copenhagen, the amusement park sits almost square in the middle of Copenhagen proper and attracts visitors not only for their rides but their magnificent gardens. By the time I arrived there it was in fact too dark. However, I did get to peak a glance between the chain links to see one of the pagodas and I can see why it is such a treasured attraction. At that point, I thought it might be wise to find the train and get back to my hotel. Although I was walking through the city by myself in the dark, I really didn’t feel in danger at all. 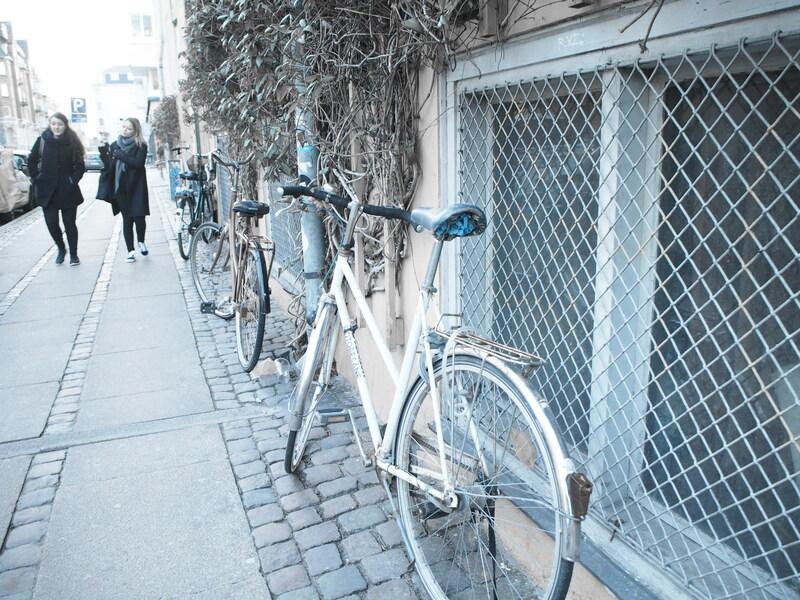 Copenhagen is a very safe city and there are always people walking or biking so I never really was alone. Det Rene Brod… yummy baked goods and coffee! The next morning I woke up early to try to find some breakfast. I found a great bakery called Det Rene Brod on Kronprinsessegade. They sell coffee and bread goods. On Yelp I found some comments about their almond cake so I had to give that a try as well as a chocolate croissant, don’t judge…when in Denmark. Both were amazing, light and fluffy without being unsatisfying and their Latte was pretty on point as well. 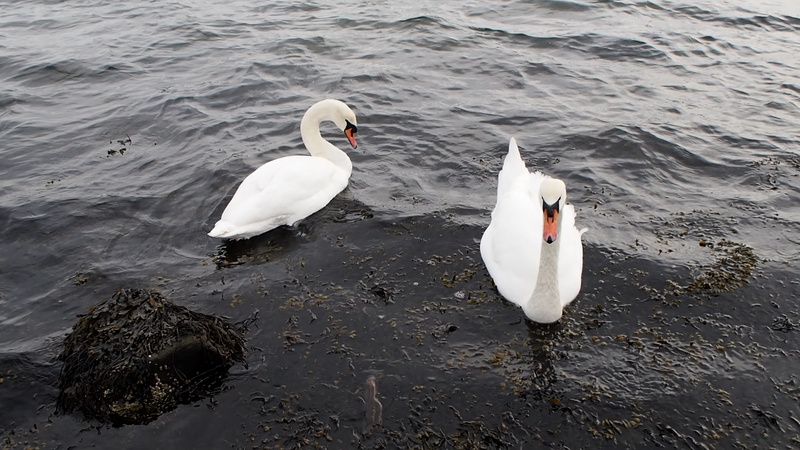 Well fueled I headed to Churchill Park to see the Little Mermaid (Den lille Havfrue). 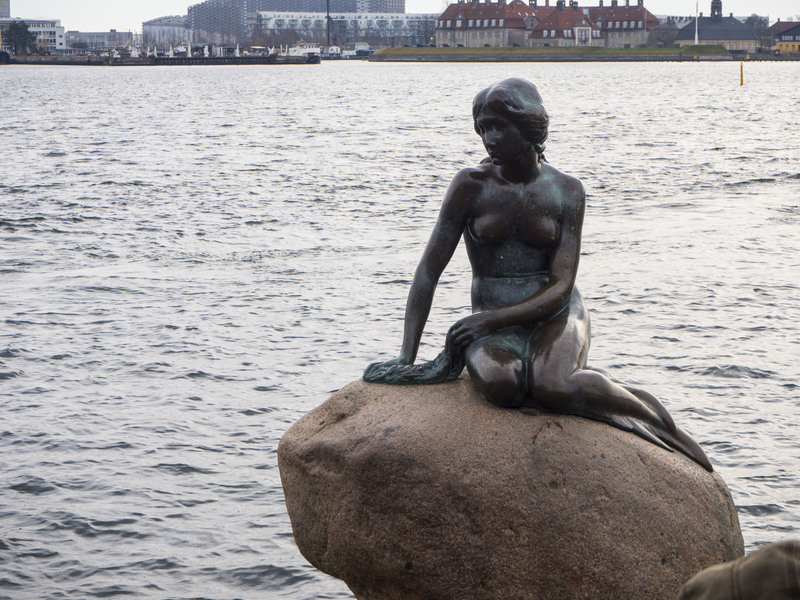 Created by artist Edvard Eriksen and based off the fairytale with the same name by Hans Christian Andersen, the Little Mermaid has become a national treasure of Copenhagen. She is said to protect the harbor and has been a major tourist attraction since 1913. Although the statue is beautiful I found her surroundings even more so. 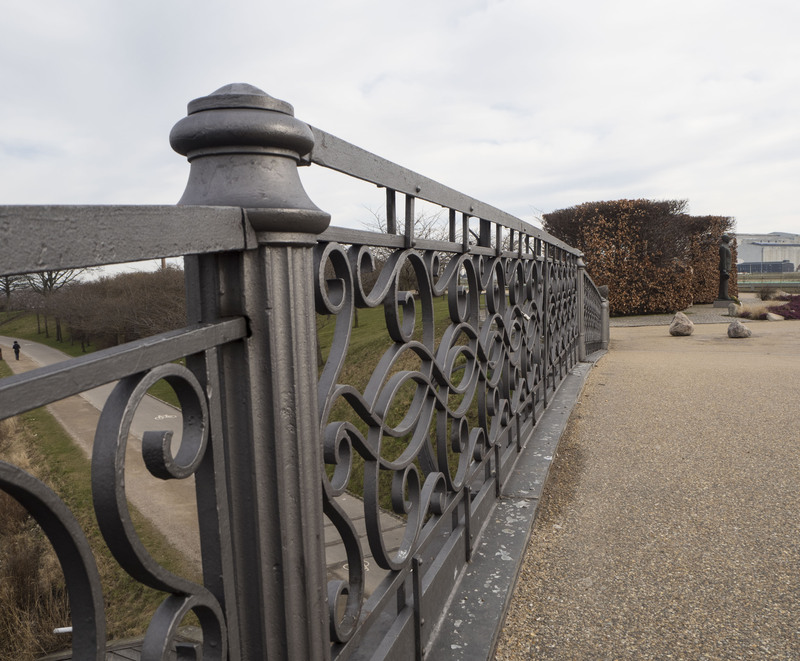 Churchill Park is a beautiful green space, with an inner moat protecting one of the best-preserved pentagon shaped fortresses in Northern Europe. 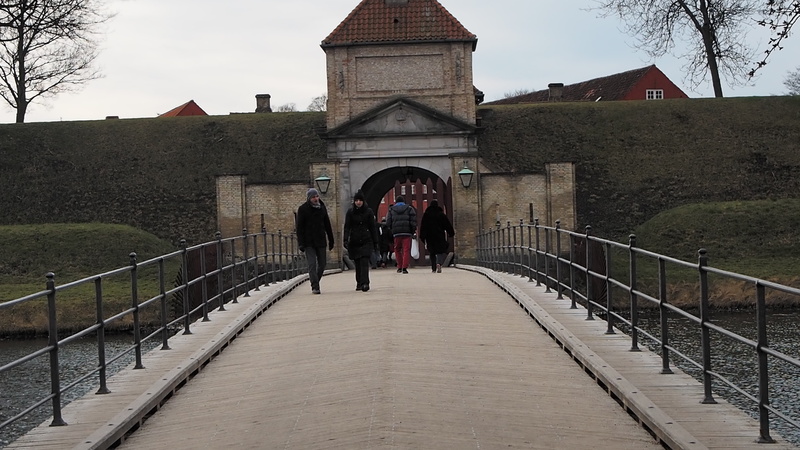 Kastellet, or the Citadel, is a historic site set within Churchill Park. 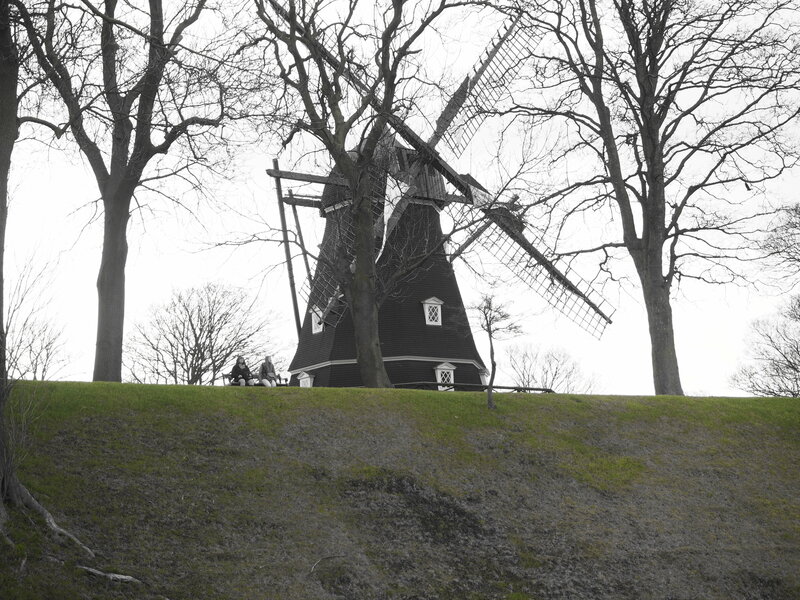 There are several buildings to explore including a church and a windmill, you can also just sit and enjoy views of the harbor or escape the sounds and sights of the city. It’s a great stop when visiting Copenhagen. My last stop was lunch. I wanted something hearty but didn’t know anything around. I checked out Yelp, sometimes it’s a life saver, and found Aamann’s. Instead of going to the Deli downstairs I happened to walk into the first door I saw and it led me up to a small dining room. There I was seated and had one of the tastiest open-faced steak sandwiches with a side salad and an Elderberry juice. The portions were small for the average American but I thought it was the perfect size for me. It was just what I needed. I highly recommend this eatery but if you can make reservations because it’s a small space and there is limited seating, but it is well worth it. Aamann’s Steak Sandwich and Elderberry drink. Before I knew it, it was time to check out of my hotel and head to the airport. I didn’t know what to expect from Copenhagen. I had no agenda of where to go or what to see, it was the first city I visited where I had no preconceived notions or expectations. I just enjoyed the city for what it offered me and it did not disappoint. I have two tips for anyone who is thinking of visiting. 1). Rent a bike, it truly is the best way to see the city. 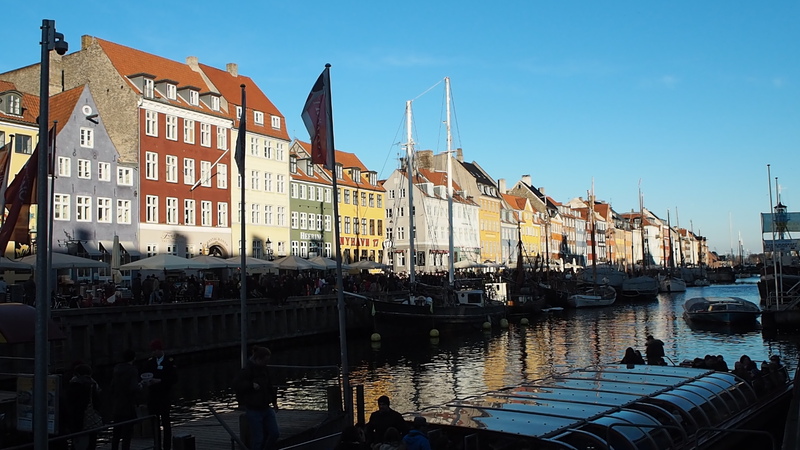 2) Almost everything in Copenhagen, apart from supermarkets and restaurants are closed on Sundays! It’s the perfect time to visit Churchill Park or just enjoy the day strolling. So If you have the opportunity to visit, go. It’s a beautiful, clean and safe city with lovely people and great food. Until next time! Miss Danmark so much! Thanks for the beautiful photos!